Village Green Nursery School’s Fall Festival. 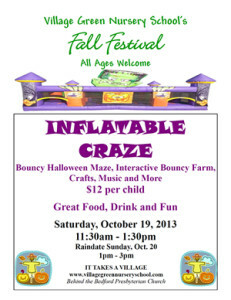 Bouncy Halloween Maze, Interactive Bouncy Farm, Crafts, Music and More. $12 per child. Great Food, Drink and Fun. Saturday, October 19, 2013, 11:30am – 1:30pm. 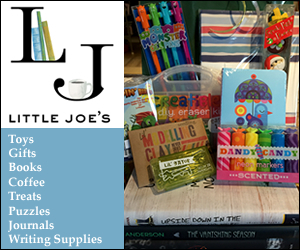 Raindate Sunday, Oct. 20, 1pm – 3pm. Behind the Bedford Presbyterian Church.